Half the fun of going to a party is the anticipation (the other half is definitely the dance floor), and a big chunk of that anticipation comes in figuring out what on earth you’re going to wear. Maybe you’re one of those people who buys an entirely new look for every event. Or maybe you’d rather mix and match pieces you already have. Either way, we’ve pulled together three beautiful looks for three very different types of affairs. Watch the segment here. It features a magical — like seriously magical — bag from H&M, a season-less look from Forever 21, luxe velvet from Marciano, and versatile menswear (the textures! Oh, the textures!) from Boys’ Co., all at Metropolis at Metrotown locations. 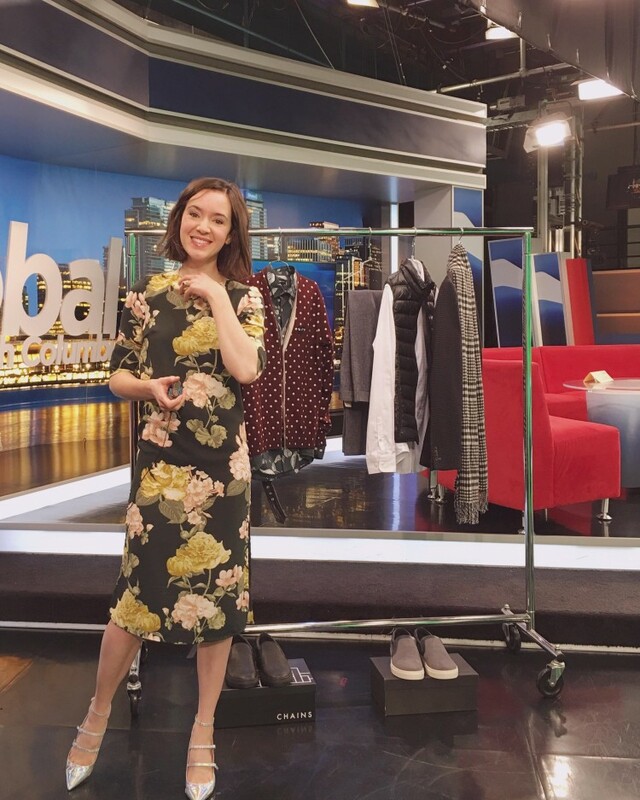 Thanks, Metropolis at Metrotown and Global BC for having me! Thanks, Jerome, for all your help! My dress is from H&M, shoes from Banana Republic.